Westerville, OH, January 24, 2017 – Independent seniors on fixed incomes will soon have access to a new, modern and affordable rental apartment community – complete with on-site supportive services, health and wellness screenings and a meal program – in The Hilltop area of Columbus’ near west side. Construction is now underway for Wheatland Crossing Senior Apartments, a three-story attractive building nestled within a park-like campus at 180 Wheatland Avenue. The primary source of funding for the new, $8.6 million facility, which will offer 42 one- and two-bedroom units, was made possible through the allocation of housing tax credits from the Ohio Housing Finance Agency (OHFA). 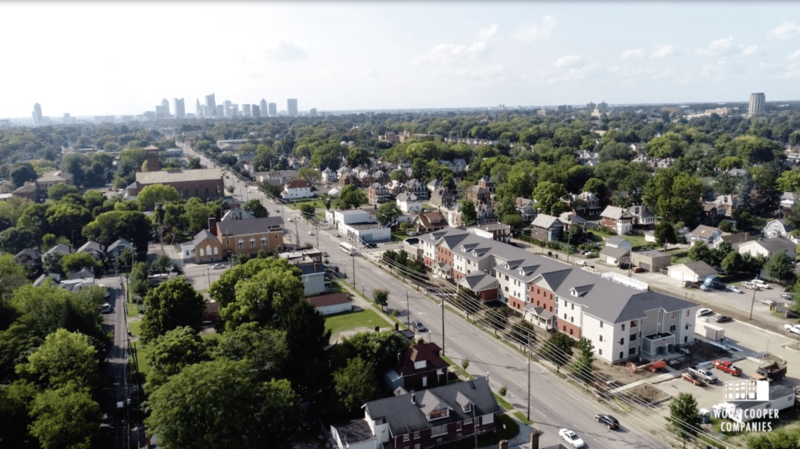 The Ohio Capital Corporation for Housing (OCCH) is investing approximately $4.1 million in equity in return for the tax credits. City of Columbus – invested $500,000 in HOME funds in the project.The development came to fruition as a result of collaboration between the City of Columbus, The Woda Group, Inc., the Ohio Housing Finance Agency, Homes on the Hill – Community Development Corporation and many other local partners. Wheatland Crossing is scheduled for completion in late 2017. The complex will have an onsite property manager and supportive services coordinator to help senior residents to access services and activities. Daily meal programs, health and wellness classes, health screenings and referrals, planned social activities, personal finance and credit counseling, and other supports, will be available. Residents will also receive assistance connecting with other agencies in the neighborhood such as the Columbus Dorian Hilltop Senior Center and Hilltop YMCA. “Wheatland Crossing will offer seniors the opportunity to live independently in a modern and affordable home, with the support of many valuable services, amenities and enrichments that seniors need and want, both onsite and nearby,” said project leader Michael Krause, Vice President of Development, The Woda Group, Inc. The team leading and implementing supportive services at Wheatland Crossing is led by Homes on the Hill – CDC, with support from the Central Ohio Area Agency on Aging, MOBILE: Center for Independent Living, LifeCare Alliance and several other area agencies.